Jesus begins to explain the work of the Holy Spirit, called here the Paraklete, that is, “counsellor” or “advocate”. 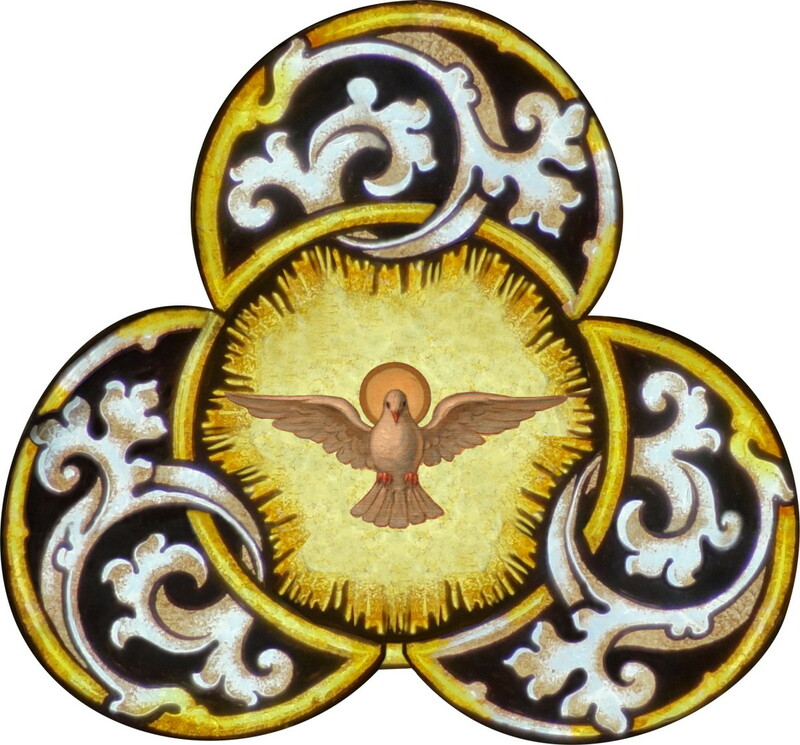 As the third person of the Trinity, the Holy Spirit’s work in our lives is to manifest our union with God, making him truly known to us while sustaining our freedom and identity as his creatures. It is hard to understand the Holy Spirit theoretically, but we can say that since God is love, then in Himself He must consist of one who loves (Father), one who is beloved (Son) and the love that exists between them, personified (Holy Spirit). We might begin to understand this mystery by reflecting on how we delight in God’s love for us or for our love for each other; there is an experience of enjoyment when we perceive, comprehend, meditate on or are blessed by the love of others. As we love in obedience and know God’s love for us we share in God’s own felicity through the life of the Spirit. In practical terms we can say that the Holy Spirit’s work is to make God real or present to us. After the resurrection the whole of creation will be full of the knowledge of the glory of God and we will know Him as we are known. The Holy Spirit enables us to experience this in part in myriad ways. Importantly, the Holy Spirit does this in such a way as not to rob us of our freedom or our identity as God’s creatures. This is why he has the name “counsellor” or “advocate”. God wants children, not slaves, and his creation is good, so he leads us into union with him in a way that doesn’t overwhelm us, enslave us or dehumanise us. If we understand this point in particular we will go a long way to understanding the Holy Spirit’s work in our own lives. In general we can also say that the Holy Spirit’s work is to teach us God’s Law in fulfilment of the Prophecies of the Old Testament (eg Isa. 54:13, Jer. 31:33). The Holy Spirit teaches us when we are obeying Christ by manifesting his presence. Likewise we can learn what is disobedience by grieving him. Again, he does this in such a way as to bring us to maturity while maintaining our freedom. Reflect and rejoice in the Spirit’s work in your life: worship him for how he has led you into a deeper knowledge of God. The World does not know him! (vs 17) That means that Christians should experience something unique to them. We should not use the Holy Spirit’s gentleness as an excuse not to experience God powerfully in our lives. Neither should we confuse powerful natural experiences, such as unusual phenomena and physical and emotional responses with the work of the Spirit. For example: rousing speech and music (in a Christian or non-Christian setting) can profoundly affect us, that doesn’t mean they are the work of the Spirit. Likewise, drug-use and religious activity can lead to people having unusual and profound experiences, the fact that these happen does not make them good, or truly spiritual. By contrast the Spirit’s work always reveals the God of Scripture to us, reinforces rather than undermine God’s created order and produces in us love for God and for people.